This rental building at 66 Ainslie Street may look like your quintessential warehouse conversion, but it was actually built from the ground up last year, designed by Aufgang Architects to blend in with East Williamsburg‘s trendy industrial vibe. Of its 50 apartments, 10 are reserved for those earning 60 percent of the area median income. These units include two $833/month studios and eight $895/month one-bedrooms and, as of tomorrow, are up for grabs through the city’s affordable housing lottery. Building amenities include in-unit washer/dryers, a scheduled doorman, tenant lounge, and roof deck. Plus, it’s located just one block from the G train at Metropolitan Avenue and a quick walk to popular neighborhood haunts like Union Pool, Traif, and the Knitting Factory. Qualifying New Yorkers can apply for the affordable apartments at 66 Ainslie Street until May 11, 2017. 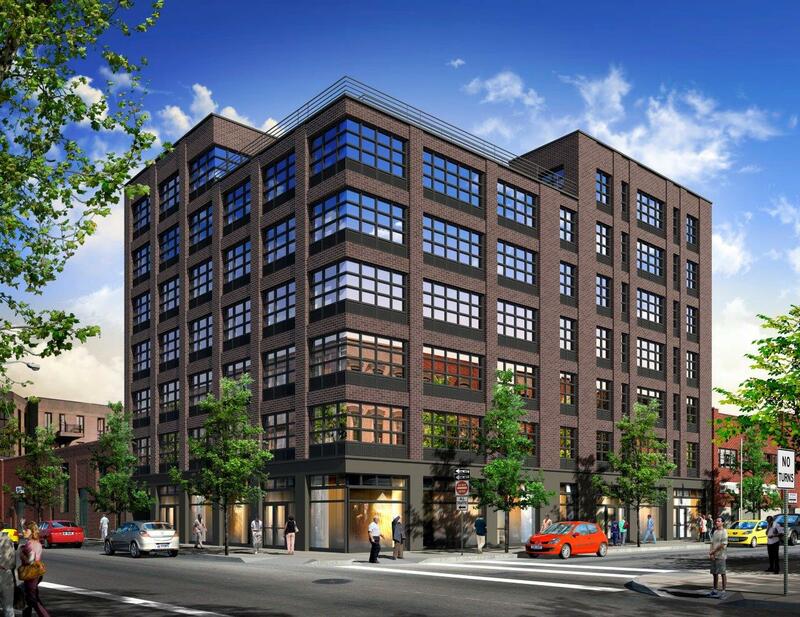 Residents of Brooklyn Community Board 1 will be given preference for 50 percent of the units. Complete details on how to apply are available here (pdf). Questions regarding this offer must be referred to NYC’s Housing Connect department by dialing 311. If you don’t qualify for the housing lotteries mentioned, visit CityRealty.com’s no-fee rentals page for other apartment deals in the city. And find future market-rate rental listings for 66 Ainslie Street here.